I help health and wellness businesses consistently bring in new clients every month using Omnipresence Content Marketing. I create valuable, inspiring, data-driven content that gets you the exposure and attention you need to start bringing in new customers. Using Facebook’s Targeted Reach, I will promote only the best content with the highest reach to bring your dream customers to you consistently, month after month. Your dream customers will see you all the time. You will become a trusted adviser, an expert in your field, a familiar friend, the easiest and most convenient option. I will build a client-getting method for your business with no effort on your part that will continue to get better and bring in more customers as time goes on. This is not like traditional content marketing where you post a blog on your website and expect people to read it. If you’ve ever tried that before, you know it doesn’t work. This is using data-driven content to reach thousands of people for as little as $1 per day. I am very pleased with the Content Marketing Plan that Jessica Berlin put together for us at Body Yoga Roseville. Great suggestions for bringing in new clients, and keeping existing clients engaged. She customized our plan specifically for our business, with a clear step by step process. I am looking forward to seeing the results once I get our marketing plan set up and in place. I had the pleasure of working with Jessica for several years. During that time, Jessica displayed a great deal of professionalism when working with clients. 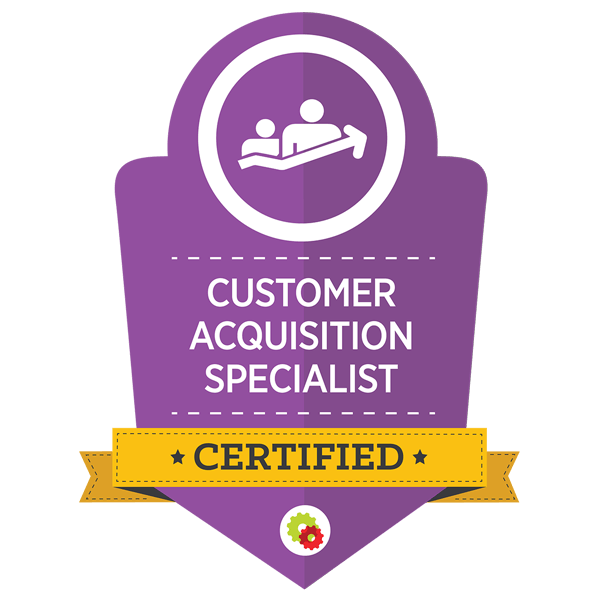 She is excellent at understanding and responding to client needs and translating their complex information into appropriate communications depending on the audience. 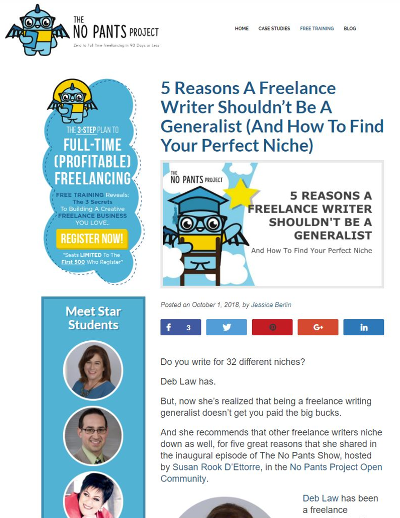 In a company full of writers and communicators, she was known as the AP Style expert and easily adapted her writing and communications for each client's needs. Clients and staff could depend on her to turn around a superior product in a timely fashion. Most of all, I enjoyed working with Jessica as a person and a professional and would highly recommend her to anyone looking for a high caliber communicator. Working with Jessica was just the shot of marketing momentum we needed. We've been running a small fitness studio for eight years, relying on good service, great results, and a strong community for growth. But we knew it was time to invest more regularly in a marketing plan. I found the idea of putting a plan together and launching it daunting. Jessica broke the process down into manageable bites, and rather than a cookie cutter list of marketing advice, made a clear plan for our specific context, with strengths and limitations both. She was a great listener, had patience aplenty for an easily distracted and derailed client, and brought deep knowledge of content creation and marketing! I enjoyed our chats and the deliverable will be a touchpoint in my marketing for a long time to come. If I could immediately hire her for more regular engagement, I would definitely do so. Jessica was always a pleasure to work with. She is an effective communicator and a great writer who knows how to turn complicated topics into something understandable for everyone. I appreciated her attention to detail and organization as a project manager. She is responsive and dedicated to her clients and you can rely on her to get the job done. Jessica Berlin is one of my favorite public relations practitioners that I have worked with in my 24 years of being in PR. As a client, she made my job so much easier. 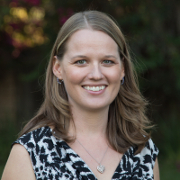 I worked with Jessica for five years while at the San Diego County Water Authority. Jessica provided superior public relations services for our project. The caliber, timeliness and reliability of Jessica’s work was outstanding. She is an impeccable writer and event manager. Under Jessica’s project management, the Water Authority won several Public Relations Society of America – San Diego Chapter Awards of Excellence. Jessica is a natural born leader, with passion, creativity, and commitment to quality. I had the pleasure of hosting several Unpub Mini San Diego events with Jessica Berlin. She excelled at keeping the planning organized and on track for each event, and was particularly effective at keeping communication channels open so that information was shared among everyone involved. Jessica also managed all of the email marketing for our events by creating excellent email campaigns through MailChimp. I was consistently impressed with her work and would gladly work with her again. Sharing valuable, action-oriented, educational content with your customers and potential customers through blog posts, social media posts, on your website, and in your emails is highly effective at growing your business. This is especially true if you are regularly evaluating and measuring the success of that content and then boosting the content that has the highest reach. You are a technician in your field. You know your business and your specialty. You love what you do to help people be healthy and well. Do you have the ability (or the time!) 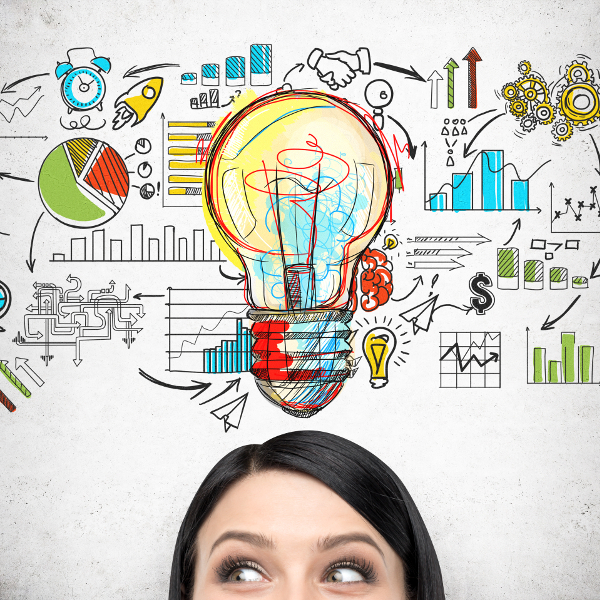 to communicate that knowledge to your clients and potential clients? 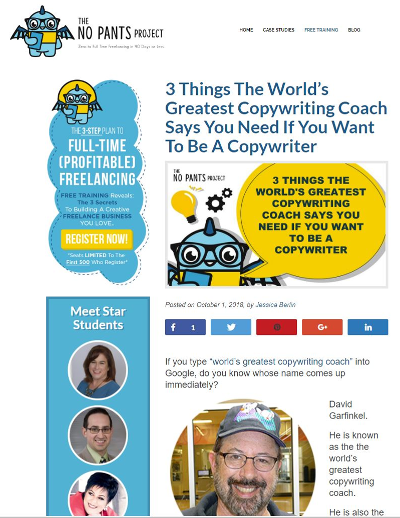 If you need help creating valuable, non-salesy content to help you consistently reach and bring in new customers, I would love to talk to you. 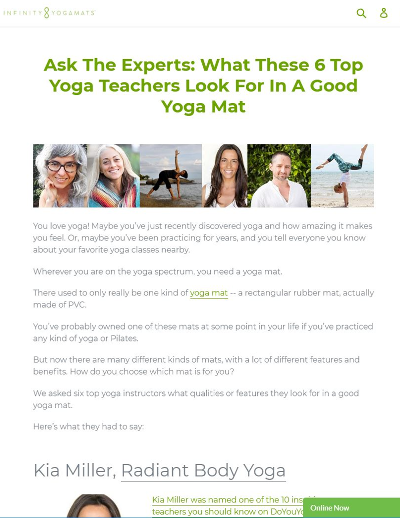 An "Ask the Expert" style blog post I wrote for Infinity Yoga Mats. I also contacted and collected responses from each of these experts. Originally hosted on the Infinity Yoga Mats website. A video breakdown blog post I wrote for The No Pants Project (freelance coaching program). Originally hosted on The No Pants Project website. Another video breakdown blog post I wrote for The No Pants Project. Originally hosted on The No Pants Project website. 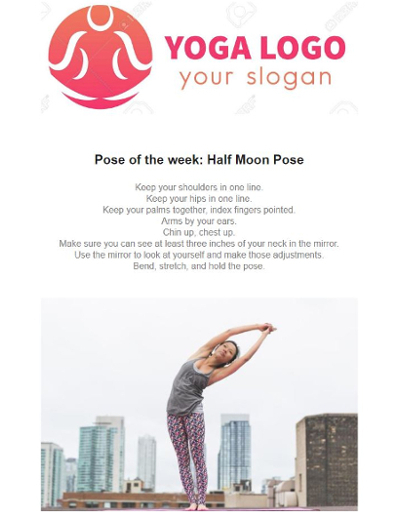 An example of a weekly email I can create to provide value to a yoga studio’s existing clients. 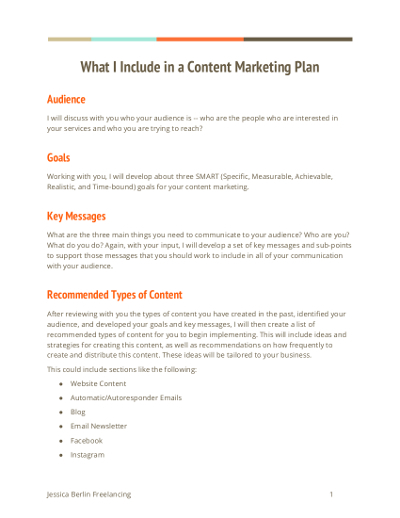 An outline of what I include in the content marketing plans I create to help a business jumpstart its marketing efforts. 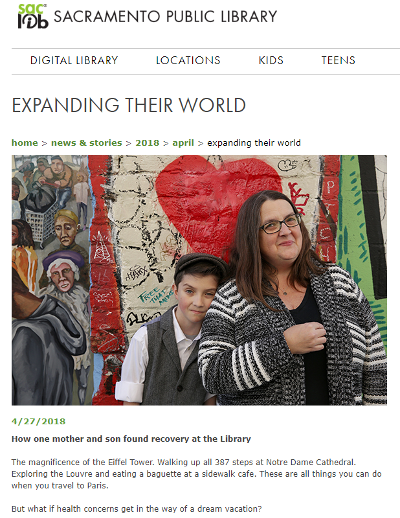 An article I wrote for the Sacramento Public Library’s Library Stories newsletter. Originally hosted on the Library’s website and sent to 265,000 patrons. Ever since I saw my dad’s name on the byline of a front cover magazine article when I was a kid, I knew I wanted to be a writer. His influence and accomplishments inspired me to seek out journalism as a career. In high school I helped build the school newspaper from the ground up and loved every moment of it. It was fulfilling to figure out what was the most important part of the story and to provide a guide to the school’s latest events. In college, I received my degree in Communication with a Public Relations emphasis. I worked on the student-run weekly newspaper as a reporter and an editor, but I was also learning in my PR classes and internships that there were other ways to use my love of writing. One of those ways was helping organizations communicate important messages to their constituents. I spent eight years in San Diego working at a public relations firm. High profile clients depended on my ability to translate complicated information into something that the average person could understand. I did this through newsletters, web content, and emails, comprehensive communication plans for projects, and key events that I planned and executed. My life changed dramatically when my sons were born, but that did not extinguish my love of public relations and writing. My husband and I started our own board game design studio where I served as business manager, marketer, blogger, game playtester, social media maven, and playtesting event planner. I created and organized five events for local board game designers to playtest their unpublished games. I continued building my skills by running the marketing, website, and social media updates for these events. Throughout the years, yoga and other fitness activities have been an important part of my life. My prenatal yoga classes were invaluable during my pregnancies and I still practice yoga regularly and feel better because of it. I’ve had great teachers that have a wealth of knowledge to share with their students and I’d love to put my skills to work for them. If you are a health and wellness business owner with a wealth of knowledge to share with your clients, but no time to get the message out, let me help you, so that you may further your mission of helping your clients be well. Let me be of service to you. Book a free discovery session and let’s chat! © Jessica Berlin. All rights reserved.